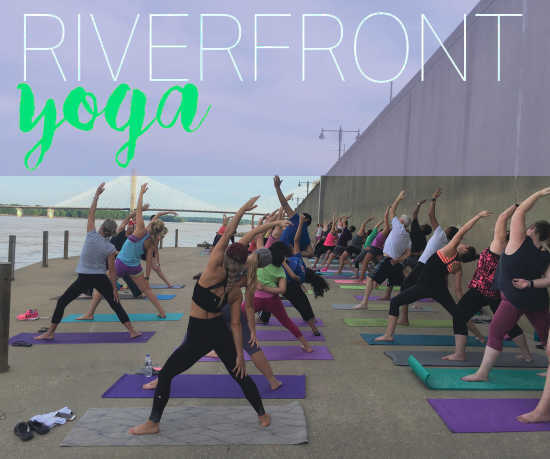 Join Cape Girardeau Parks & Recreation Group Fitness Instructors every Saturday at the Cape Girardeau Riverfront in downtown Cape Girardeau past the Floodgates for Yoga! This Yoga class is a great class for all levels and ages. We offer modifications to fit your levels and make sure you feel comfortable and ready to join the fun. With a perfect view of the Mississippi River, your Saturday morning couldn't start any better way.